Watkins offers a simple fundraising solution for non-profit organizations. Are you looking for an easy, powerful, yet risk-free way for your club, group or organization to raise money? With Watkins, your nonprofit organization can have a steady revenue stream without the hassles and time commitments of traditional fundraisers. Typically, non-profit organizations receive between 15% to 30% of their Watkins product sales. I love working with non-profit groups, and the passionate people who run them. I’m involved with running several, currently on the board of directors so I know how much work is involved at that level. 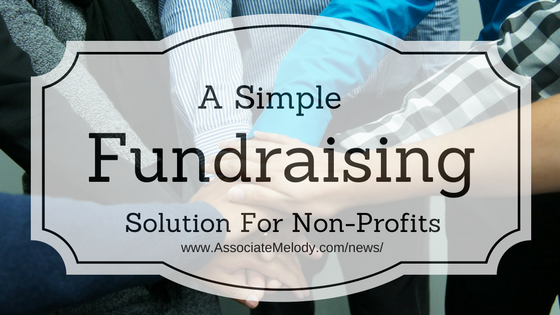 It can be challenging to find unique and effective ways to raise funds for your organization. A free, user-friendly e-commerce website, where your organization can tell your story, publish information about your projects, goals, and fundraising efforts. The best news is, Watkins waves the $64.95 set-up fee as well as the monthly maintenance cost of $19.95 per month for your website indefinitely, and for all charitable and nonprofit organizations. Access to a diverse product line of more than 300 unique high-quality, high-value, natural household products and gift assortments consisting of many consumables that people are probably already purchasing from somewhere else. Since Watkins is a well known and trusted brand (it’s been in business since 1868) which makes it easy to do a fundraiser. Easy ordering for supporters of your organization. They can order online, by mail, or by phone toll-free. Orders are delivered right to your supporter’s door so you don’t need to pack and deliver. An easy start-up without having to purchase anything; the Consultant membership fee is waived for nonprofits. A quick start. Your organization can begin raising funds within 10 minutes of joining us! An additional bonus, you can sponsor other non-profit organizations and earn bonuses from their sales as well. You’ll need your organization’s name and Federal Tax ID Number (US) or registered 501-C3/RR Nonprofit Number to sign up. Holding a fundraising blitz two to four times a year is a more effective fundraising strategy than relying on people to remember to place their orders year round. A blitz creates excitement and a deadline, both of which will increase your sales. Higher sales will result in higher profits for your efforts. Your blitz should be 2 – 4 weeks long, all in one calendar month. Two weeks is an ideal time frame for most groups. March, April, October, and November are all good months as they are leading up to a holiday when people tend to buy more. 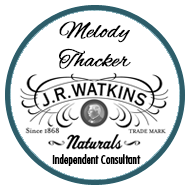 You’ll find that your fundraising efforts will be enhanced with the use of JR Watkins full product catalog. It’s a small investment for big returns. Providing your members and supporters with catalogs will increase sales, and allow them to easily share your fundraiser with other people they know. Some people prefer looking at a real paper catalog and other’s aren’t comfortable placing orders on the internet. To increase your sales and profits we’ve found organizations that collect and submit their supporters orders together at one time have a much higher success rate. Again, this creates a deadline and urgency for your supporters to order. When you use this method all orders will be shipped to one location where you can distribute them. This is a bit more work but your supporters will pay a lower shipping rate, which is proven to increase your order sizes. Remember, the more ways that you let people know about your fundraiser the more successful it will be. Make sure to include your website information in all your literature, newsletters and communications with your members and supporters. Advertise, promote your fundraiser on facebook and other social media. Distribute posters, signs or flyers in your community letting people know you are fundraising with Watkins products. Once your organization has joined I’ll provide you with additional tips and would love to help you put together a strategy and plan to help you reach your specific goals. Call me toll-free at 1-866-452-6948 to discuss your organization’s needs and/or request a free Watkins catalog and let me know you are interested in fundraising in the comments.